OPPO announced a few weeks ago that it will present its new series of smartphones under the Reno brand on April 10. 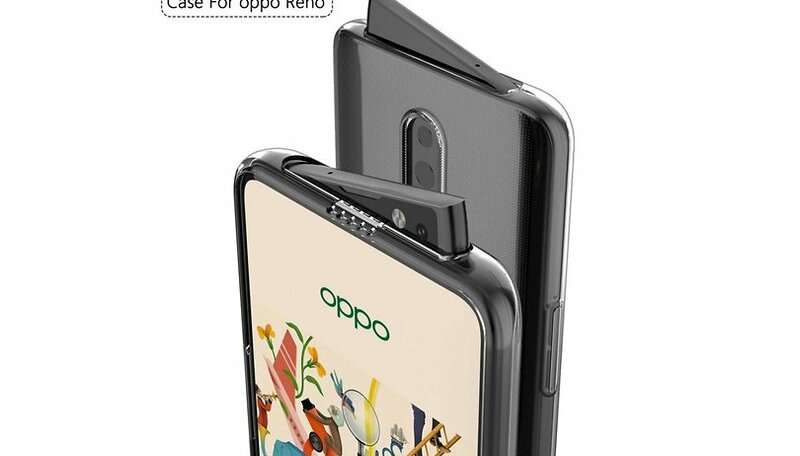 After taking a look at some of the smartphone's renderings, today another one has appeared in which the smartphone pop-up camera is shown in the style of a...shark fin? Today's render not only reveals a rather bizarre pop-up camera that resembles a shark's fin, but the mechanism also includes an LED flash. At the back of this smartphone there are only two cameras, so it's likely that another version will come with a triple camera with 10x lossless zoom, presented at the MWC at the end of February by OPPO. Brian Shen, vice president of OPPO, confirmed that the first of the two Reno smartphones will use a new and unique heat dissipation system and will be powered by the SoC Snapdragon 710, while the sibling will use the Snapdragon 855. Also for photography both will use the Sony IMX586 48MP sensor and, in addition, we also expect a 5G version with 12GB of RAM. The render that appeared today also shows a 3.5 mm audio jack and USB-C port. It is not yet clear whether the standard version will use a fingerprint scanner mounted laterally or below the display.